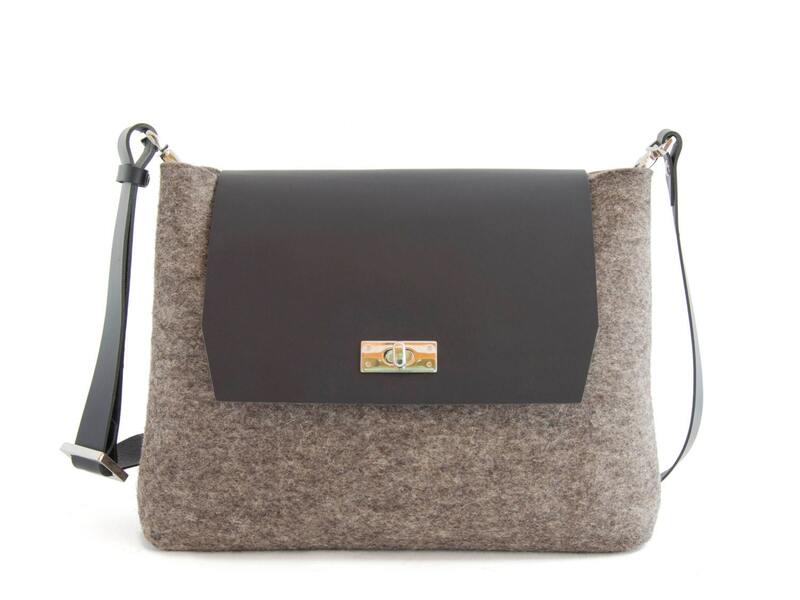 A chic and compact bag ideal for your urban life... from brunch until dinner! 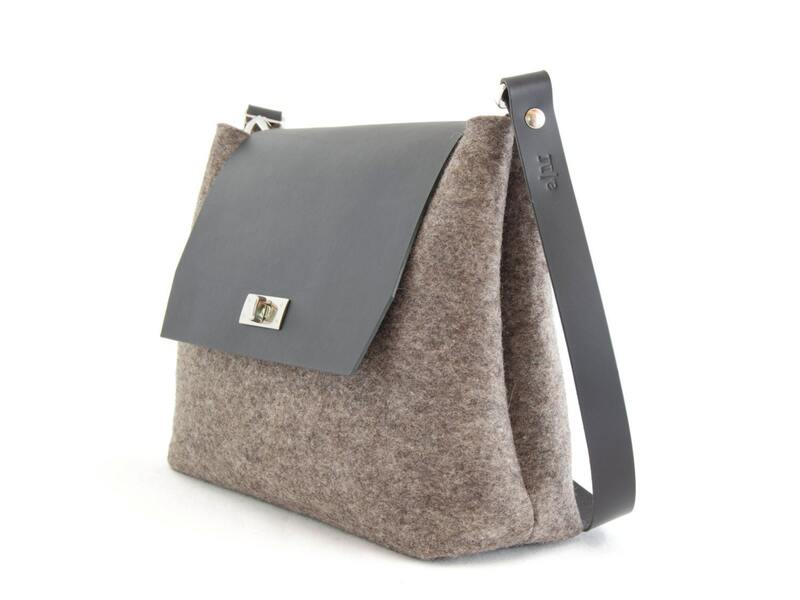 Soft wool felt and and smooth vegetable tanned leather are the perfect couple to add a touch of style to your outfit. 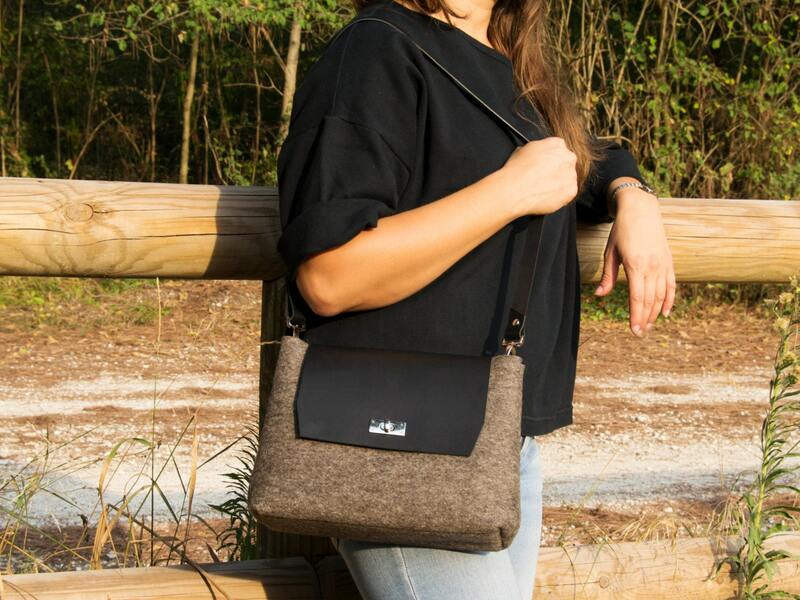 The strap is completely adjustable, so the bag can be carried on the shoulder or across the body. 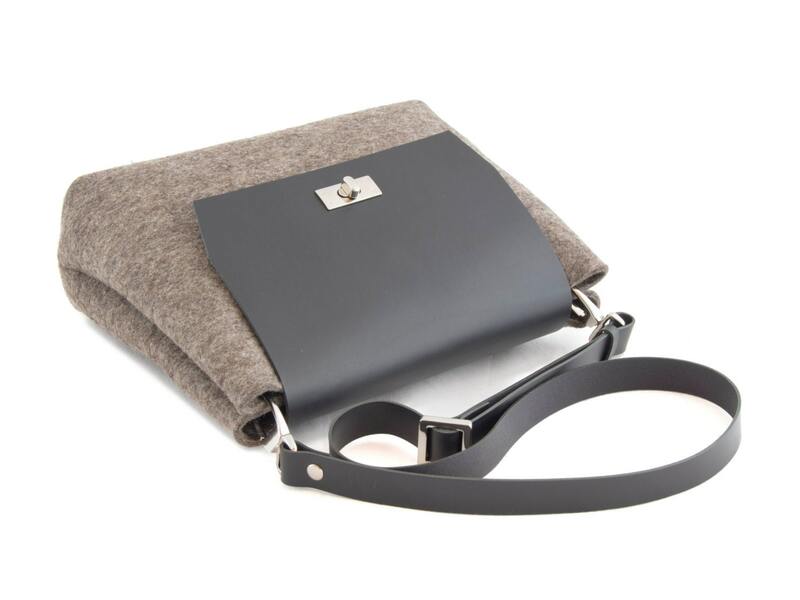 It can easily stow a phone, a wallet and more.